Books can do a lot of things. They can transport us to new worlds, take our minds off a recent breakup, or be that cheap escape when we can’t afford a vacation. But how many books can act as a catalyst to end systemic violence and discrimination against Black people? 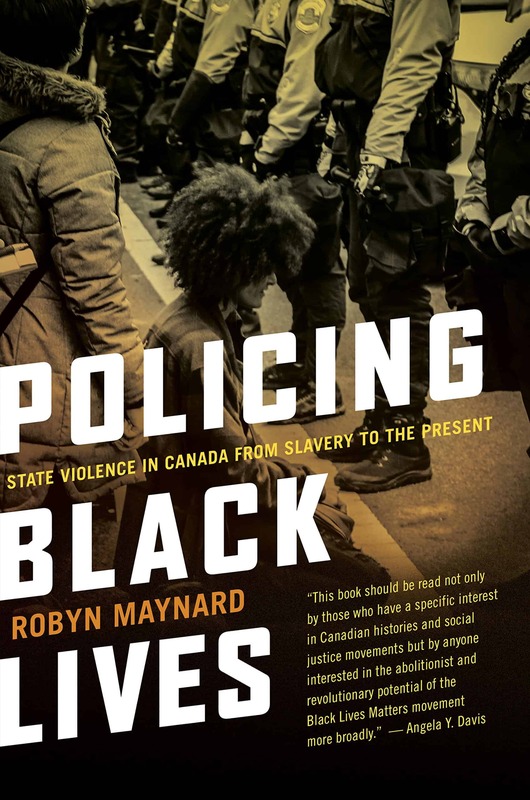 Robyn Maynard’s Policing Black Lives: State Violence in Canada from Slavery to the Present is this book. If you’re reading this and expecting a book review, this is the wrong article. But I’ll do you one better: As a Black writer, I imagine Maynard’s words creating new ways of thinking and being a voice for those who may have lost theirs. (You can’t blame a girl for having hopes and dreams, right?) It’s important to talk about how a book can not only educate but also change the minds of those who say racism doesn’t exist today, and those who don’t even understand the meaning of the word. The gruesome acts of violence that we see on the news are indeed real, and it’s a systemic problem. All of this violence and racism didn’t just fall from the sky–it started somewhere. And sometimes that “somewhere” can be too overwhelming to think about and too broad and too big to look into, so we don’t. No one is immune; I too have been guilty of turning a blind eye. When I was young, I experienced a lot of racism, sexism and classism. I had no idea there was anything wrong with these experiences. I was under the assumption that anyone older than me knew the difference between right and wrong, so I just had to accept what was being done to me. There’s something massively wrong with this thinking, but this is what was ingrained in me as a young girl. Now we’ve been blessed with this glorious teaching tool, [insert life-changing book here], so let’s start using it to our advantage. Everything starts with a conversation. Policing Black Lives specifies not only the Canadian experience around the brutalization of Black people but also the broader scope across the world. Even the structure of the book is integral and very well thought out. Each section speaks to different eras and times where the various intersections of discrimination led to the state we are in today. From chapter one (“On State Violence and Black Lives”) to the final chapter (“From “Woke” to Free: Imagining Black Futures”), Maynard breaks our histories down into a well-researched and easy-to-understand textbook. That’s right, a textbook. I strongly encourage folks to check this book out. Read it. Talk about it. Share it. Buy someone a copy. Every white person should read this book, and the reason will become obvious as early as the first page. Each student should also be handed a copy so that they have a say in how they imagine their “Black Futures.” Teachers are gatekeepers; schools have power. We must plant seeds in the minds of youth and be honest about Canada’s history. Break racism down into bite-size pieces that we can chew, taste and swallow. Then feel the burning sensation in our stomachs. This stuff isn’t supposed to taste good or go down easily. If we give our kids a chance to absorb our history–to sit with it and understand it–they will essentially rewrite new histories that are rich with honesty, heart and passion to just do better. Maynard’s book is the key to this new way of thinking.